The 9-hole Links 9 at Las Positas Golf Course in Livermore, CA is a public golf course that opened in 1966. Designed by Robert Muir Graves, Links 9 at Las Positas Golf Course measures 1133 yards from the longest tees. 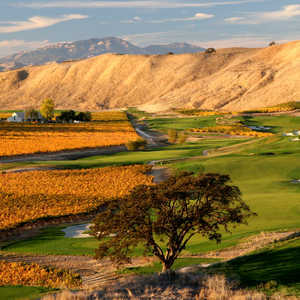 The 18-hole Merlot/Chardonnay at Poppy Ridge Golf Course in Livermore, CA is a public golf course that opened in 1996. 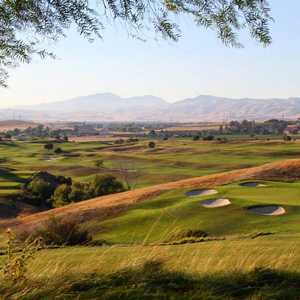 Designed by Rees Jones and Steve Weisser, Merlot/Chardonnay at Poppy Ridge Golf Course measures 7106 yards from the longest tees and has a slope rating of 135 and a 74. 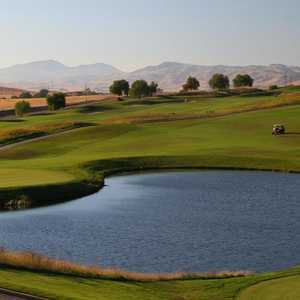 The 18-hole Signature 18 at Las Positas Golf Course in Livermore, CA is a public golf course that opened in 1966. Designed by Robert Muir Graves, Signature 18 at Las Positas Golf Course measures 6726 yards from the longest tees and has a slope rating of 130 and a 71. Located less than an hour east of San Francisco, the Course at Wente Vineyards sprawls across the lush, rolling hills of Livermore Valley. Greg Norman carefully crafted the golf course, creating one of northern California's most challenging layouts. The course incorporates three different landscapes: woodlands, grassy meadows, and mature vineyards.